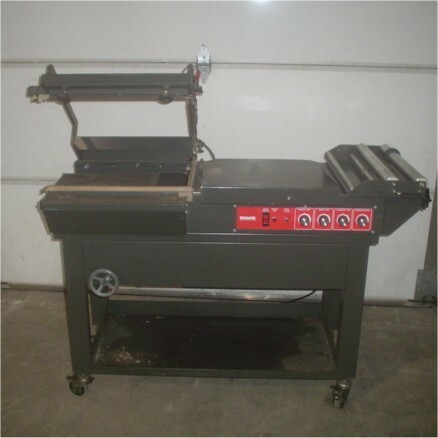 Used Damark L-Bar Sealer Model JMC 1620. Serial #7392. Machine has a 16” x 20” Sealing Area. Controls: Temp, Dwell time, and Conveyor time-speed, and auto clean. Electrics: 1Ph/60Hz/115Volts, 14Amps. Overall Dimensions: 56” x 26” x 42” on Castors. Last used in a large Pharmaceutical Facility and is available for immediate delivery.